A very “Happy Veterans Day” to all who have served in the Armed Forces of the United States; whether in times of War, or in times of Peace. There are no "good" wars. But there are "just" wars, in which man is pitted against his fellows for a legitimate cause; although usually by others who seem to never have to serve. 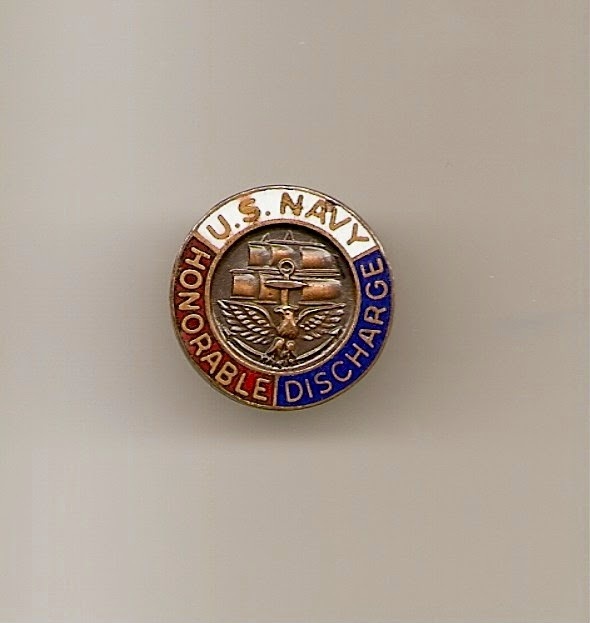 This is my Discharge Pin. It represents not only the 4 years that it took me to earn, but all of the sacrifices made by the many; over the years; in defense of something greater than themselves. Today is their day and this is their pin. I am just privileged enough to be able to wear it.